Across the vast land of Russia are scattered a numerous number of large cities and small towns where legendary buildings are dating back from the long past. Although much of the invaluable property of the country has been lost, there still remain more than forty thousand officially-recorded historic sites. These historic places vividly demonstrate architectural talents of Russians. 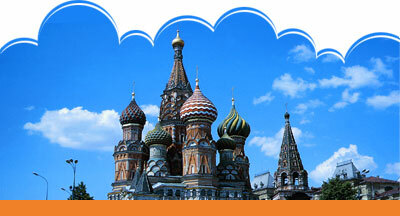 The historic, architectural and artistic heritage is the glory and pride of Russia. For elegance and old world feel, St. Petersburg is by far the best Russian city. If you go, a visit to Peterhof, the summer palace of Peter the Great is a must.